The idea of Yarn is to accelerate the setup process for npm packages by ensuring that network connectivity errors are reduced to a minimum. We prepared a Yarn install guide for those of you who are looking to start using this package manager. What Do You Need to Install Yarn on Ubuntu? First of all, you will need super-user privileges, so please note that you might need to use the “sudo” prefix before the commands unless you are logged in with the root account. Please note that you will use the official Yarm repository to install the utility. We believe that is the best option since it will ensure that you always have the latest version of the software. It will add the repository that Yarn officially uses and get everything ready for the installation. Please note that the Yarn installation will also install recommended add-ons you need to run the package manager properly, such as Node.js. 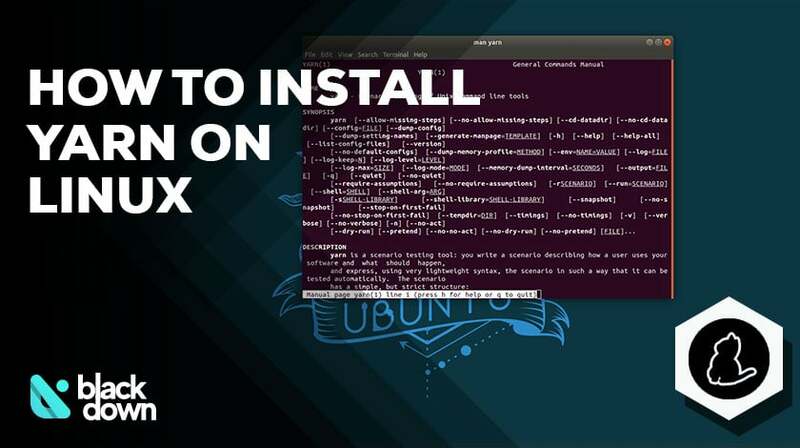 See how to install Node.js on Ubuntu here. As long as everything went right, the system will immediately show the current version of Yarn on your system. If you are a Yarn newbie, allow us to mention several commands that you may consider useful in the beginning. Make sure to change the name of the project to the one that you want to use. This will only initiate the process of creating a project. You will also have to respond to a series of questions, such as specifying the project version, description, author, and others. When answering, you can type the answer or hit enter right away to use the default parameters and move on to the next question. You will notice that a “package.json” file was created with your new project details. If you want, you can modify the information in this file easily. Please note that the dependencies will be added for all users working on the project. Both of the above commands can also be used for upgrading dependencies. You only need to switch “add” with the “upgrade” option. Please note that this will install dependencies listed in the “package.json” file. Yarn is a useful package manager for Linux users, especially those dealing with npm packages. The process of installation via the command line is straightforward, and you can also manage dependencies effortlessly.